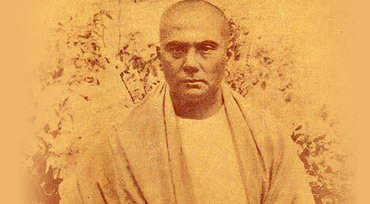 Swami Abhedananda was born in Calcutta on October 2, 1866. His father, Rasiklal Chandra, was a senior teacher of English in the Oriental Seminary of Calcutta. His mother Nayantara Devi named him "Kaliprasad",meaning grace of the Divine Mother Kali. His keen interest in Sanskrit and philosophy took a lion's share of his studies in his boyhood. Even before he came of age, he felt an inner inspiration to learn Yoga. His longing for yoga practice drove him to Sri Ramakrishna Paramahamsadev at Dakshineswar. Sri Ramakrishna recognised him as a great yogi in his previous birth and that this was his last birth. He readily agreed to teach him yoga practices and initiated him with mantram. The mystic touch of the Guru immediately led him to deep Samadhi. 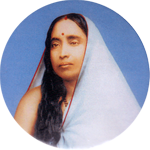 Right from this beginning and during the course of his spiritual sadhana Kaliprasad experienced many divine visions till he reached the state beyond name and form. During the illness of Sri Ramakrishna in April 1885, Kaliprasad left his home and whole heartedly devoted himself to the service of his Guru, first at Shyampukur and then at Cossipore Garden-house near Calcutta. Here he received from his spiritual master 'gerua' along with other spiritual brothers Naren (Swami Vivekananda),Rakhal (Swami Brahmananda), Baburam (Swami Premananda), Shashi (Swami Ramakrishnananda), Tarak (Swami Shivananda), Latu (Swami Adbhutaaanda), Niranjan (Swami Niranjanananda), Buro Gopal (Swami Advaitananda), Sarat (Swami Saradananda) and Yogin(Swami Yogananda). After passing away of his Master on August 16, 1886, Kaliprasad plunged into hard tapasya (austerity) at the newly formed Baranagore monastery. He soon became to be known as 'Kali Tapasvi'. During this time he composed beautiful verses on Shri Ramakrishna and the holy mother Sri Sarada Devi, to which the latter blessed him saying, 'May the Goddess of Learning ever dwell in your tongue'. In his afterlife this blessing was fulfilled to the letters. In the very same year at the Baranagore monastery, he formally became a Sannyasi monk along with Narendra Nath Dutta and some of his other gurubhais. While Narendranath then selected his name as 'Vividishananda', Kaliprasad was given the name 'Abhedananda'. Thereafter Swami Abhedananda took the life of a 'parivrajak' (wandering monk). He traveled for ten years barefooted from place to place from the Himalayas to Rameswaram, depending entirely on alms, cooked or uncooked. In course of his journey he never touched money. He had only a loin cloth on his waist as garment and always depended entirely on whatever chance would bring to him. He used to walk 20 to 25 miles each day. He first reached Ghazipur where he met Paohari Baba. He then went to Benaras. There he met Trailanga Swami and Bhaskarananda. He walked upto the source of the Ganges and Jamuna. There he stayed for three months in the caves of the Himalayas spending most of his time in the contemplation of the Absolute. He also stayed for some time at Hrishikesh where he studied Vedanta from the profound scholar Dhanaraj Giri, a renowned monk of Kailash Math. Giriji proclaimed the wisdom of Swami Abhedananda as 'aloukiki prajna' (heavenly wisdom). In 1896 came the call from Swami Vivekananda to assist him in his work of preaching Vedanta in England. He sailed for London in August 1896. His first lecture was before the Christo-Theosophical Society of London on the Advaita Philosophy of Panchadasi. Before returning to India in 1897 Swami Vivekananda entrusted him with the full charge of conducting the classes on Vedanta and Raja Yoga. While in England he was introduced by Swami Vivekananda with Professors Max Muller and Paul Deussen, the two great authorities on Indian Philosophy in foreign land as also the renowned philosophers of that time. At the request of Swami Vivekananda,Swami Abhedananda went to U.S.A., for the first time in 1897 at the age of 31 to take charge of the Vedanta Society in the city of New York. There, as demanded of him, he delivered ninety public lectures in six months before large audiences on Vedanta Philosophy and Yoga Philosophy of Patanjali. He also took regular classes at the Vedanta Society on Bhagavat Gita,Upanishads, Spirit and Matter, Knowledge of the Self, Search after the Self, Realization of the Self, Immortality of the Self,Sankhya and Yoga Philosophy etc. He came to India in 1906 for a short stay of seven months only. The people of India did not miss this opportunity to receive him with historic ovation and to pay homage to this world spiritual leader in the most befitting manner. He returned to America in the same year and continued preaching the messages of Sri Ramakrishna and the spirituality of Inida's own. During his 25 years' of spiritual ministration in the West he crossed the Pacific seventeen times. He finally returned to India in November, 1921. On his way return, he visited Honolulu, Japan,Shanghai, Hongkong, Canton, Manila, Singapore and Kuala-Lumpur in Malaya States. Everywhere he had to deliver series of lectures on various religions and philosophies including Vedanta Philosophy. In 1922 he crossed the Himalayas on foot and reached Tibet for studying the manners,customs and Buddhistic philosophy and Lamaism. He visited upto 'Hemis Monastery',where he discovered a manuscript on the unknown life of Jesus Christ. With the help of a senior Lama he got a translated copy of the important portions of the life of Jesus which has been incorporated in the book 'Swami Abhedananda's Journey Into Kashmir & Tibet' published by the Ramakrishna Vedanta Math,Calcutta. 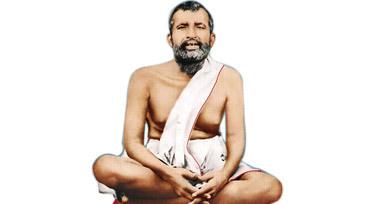 In order to carry on Vedanta work in India he started Ramakrishna Vedanta Ashrama at Darjeeling in 1924 after establishing Ramakrishna Vedanta Society in Calcutta in 1923,now known as Ramakrishna Vedanta Math. In the year 1926 when he was at Darjeeling,Mahatma Gandhi came to pay a visit to C. R. Das who was then lying seriously ill. Swami Abhedananda who also went to see C. R. Das,met Gandhiji there and they exchanged ideas with each other. In 1932 the Noble Prize winner Scientist Dr. C. V. Raman also came to pay a visit to the Swami at the Darjeeling Ashrama. As the last survived disciple of Sri Ramakrishna, Swami Abhedananda presided over the Parliament of Religions convened on the occasion of the Birth Centenary of Sri Ramakrishna held at the Town Hall Calcutta, in the year 1937. This, however, can be counted as his last public address. Meanwhile construction of the temple at Calcutta was complete. It was dedicated to Sri Ramakrishna on March 2, 1937. He started publishing the Bengali monthly organ 'VISVAVANI' from the Ramakrishna Vedanta Society at Calcutta since the year 1927. In May 1937, Swami Abhedananda visited Darjeeling for installing the deity in the temple of Sri Ramakrishna Vedanta Ashrama. Activities at Darjeeling had, by this time, largely extended with two colleges,, schools, library and the charitable dispensary. On his way back to Calcutta he was involved in a railway accident at Batasia loop. He sustained injuries in the heart. His health gradually broke down. He transferred the property of the Ramakrishna Vedanta Society,Calcutta, in the name of Sri Ramakrishna as a 'debottar' property by a registered deed in 1939. This, probably relieved him of the heavy burden of work devolved on him by his great Master Sri Ramakrishna. He left the mortal body on the 8th September 1939. The spirit of modern, progressive Hinduism was shown by the great Master, Bhagavan Sri Ramakrishna Paramahansa who was the master of Swami vivekananda. It was he who showed that need of the present day is the brotherly feeling and toleration of all religions. He was accepted by the Mohammedans and also by the Hindus of various sects. He was worshipped by the Christians, as he was worshipped by other religionists as their ideal. In fact, in his life and teachings we find the embodiment as well as the personification of ideals of all the great religions of the world. Sri Ramakrishna showed us the way to love all and to recognize God in all humanity. He is regarded as the Yugavatara in this age and also as an incarnation of the Divinity. He came to show the way of harmony and progress. The message of Vedanta is the same as the message of Sri Ramakrishna. His teachings are living commentaries to the Vedas. 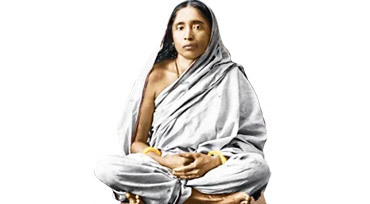 The highest position that can be given to womanhood was given by Bhagavan Sri Ramakrishna; he realized that the greatness of country could be achieved only by educating the young girls, the women of our country. His followers, seeing all his powers, marveled at his greatness and believed that his many-sided personality was the living example and the consummation of all the previous Avataras and divine manifestation. 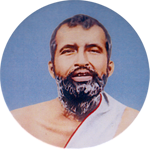 In this age of scientific rationalism,Bhagawan Sri Ramakrishna has shown to the world how the Lord of the universe can be realized and attained in this life, ... He was the embodiment of the highest spiritual ideals given in all scriptures of the different nations of the world. Hinduism has always shown the most absorbing power: Today progressive Hinduism will show that the power is not lost that it is still able to absorb the truth and the teachings of all other religions into its own body. We should absorb the truths taught by Mohammed and Jesus the Christ and tell that that is our religion. We should absorb the truth taught by Zoroaster and say that that is our religion. Because we are neither the Hindus, nor the Mohammedans, but we are all children of God. God is manifesting through us and, therefore, we are all brothers. We must not stop simply after doing something that will help our own people, our own nation, but we must go on doing things that will help not only our own nation but all nations; not only all human beings but all living creatures, lower animals, even plants. You will realise that you are the Brahman and the Infinite spirit if you can take this idea: "I am a child of God and not a child of a demon, not the child of earthly parents". The parents could not create your soul and, therefore, as an immortal soul, you are the child of God who rules the whole world. If you are a child of God, what would be your birthright? It will be measured by wisdom, conquest and triumph over all evil and suffering. If for one moment you realise that you are a child of God and that others are also children of God, then you will have unity of purpose. And if you know that happiness is the goal of all, you will stand on that broad and universal platform of brotherhood and not only of brotherhood but also of universal oneness. Education which you receive now, is not proper education. My friends, schools, colleges and universities of this country do not give you proper education. The value of proper education should be to make you stand on your own feet and to make you able to think proper. Education that teaches us what we are in reality is true education. The object of education should be attainment of perfection. That is the highest aim of education. All education must be in harmony with common sense. It is the best sense that God has given us. It is the Divine wisdom. It will be the Brahmajnana when it is developed to the knowledge of the Brahman, the infinite Being. The ideal of education should be such as will elevate man from his ordinary selfish state into the unselfish universal ideal of Godhood. We should learn to see God in man and woman and love them, worship them, feed them and educate them. Women should have equal rights and privileges with men. The highest ideal of education is the attainment of God-consciousness. Then and then only we will realise that we are the children of immortal bliss. Through self-confidence you will accomplish everything. When you walk in the Street, do not move as if a slave is going or as if somebody has raised a whip over your head. Do not be frightened but walk like a man. Stand up, raise your head and walk like a gentleman. Do not be afraid of anything. That is your duty. And train your children to become like that. Our true self is one with God in quality but in quantity it is a part, *** just as our body is one in quality with the cosmic body and in quantity it is infinitesimally small like a grain of sand. The higher nature is already within you. Realise it, control your lower mind and passions for the time being, then you will be able to live on the spiritual plane as the master over sense-pleasures. Realise that the power to save yourself will not come to you unless you have faith in yourself, unless you know that God is within you and unless you become fearless. Faith brings out the power of the mind. Faith is always constructive while doubt is destructive. Faith strengthens. It is an affirmation. You say with full energy that it will be so and it will happen so. But if you vacillate and doubt, you would not be able to reach the highest results. That faith is beneficial which is founded upon right knowledge, right reason and is supported by proper evidence. Intense longing, unswerving devotion and wholehearted love of the soul draw out from the infinite source any particular form which the devotee wishes to see and worship; they have the power, as it were, to condense and solidify the water of the ocean of Reality into various forms. Death does not mean destruction, but it simply means the change. Our mental or thought form is equally subject to change like our physical body. The worship of truth alone will reveal to us the highest ideals and that is the highest kind of happiness and blissfulness. The true self, although it may appear through different forms or different bodies, is itself formless. Know that you are the child of Bliss-'Amritasya putrah'. Feel it and be conscious of it.This is your ideal. Hold it and make it integral of your being. You should first realise who you are and the rest will take care of itself. The essence of our soul is immortal and that can never die. The mind stuff is finer matter in vibration. The mind can be said to be the invisible side of matter and matter is the visible side of mind. The human minds are like the eddies in that one eternal current of the cosmic mind. The power of thought is tremendous. What we think, we become after a while. The idealistic thoughts are consequently transformed into realities. What we call genius is in reality immense power of concentration. Nothing can be achieved without concentration. There is no power in the universe higher than the power which comes through concentration. The power acquired by its practice can control all the physical forces of nature.